The photo was taken during one December 2009 chilly and rainy Friday morning. I was having second thoughts about going that day. But it was an annual and personal tradition to go back to that same spot each year since 2007 and photograph this building at break of day. Each year produced different results - clear sky in 2007, hazy in 2008, and cloudy & rainy this time in 2009. But what fascinates me is how the building's curtain wall system reflects the golden/purplish hue of the rising sun and the color effect it makes on the building as a whole. The contest was run by GHD Global Pty. Ltd. whose purpose is to update its images library. Al Bidda Tower is one of its premiere projects where at some time during its construction, I was involved as its site architect. Only GHD's bonafide employees worldwide are eligible to participate but hey, this is one big global company with thousands of employees. 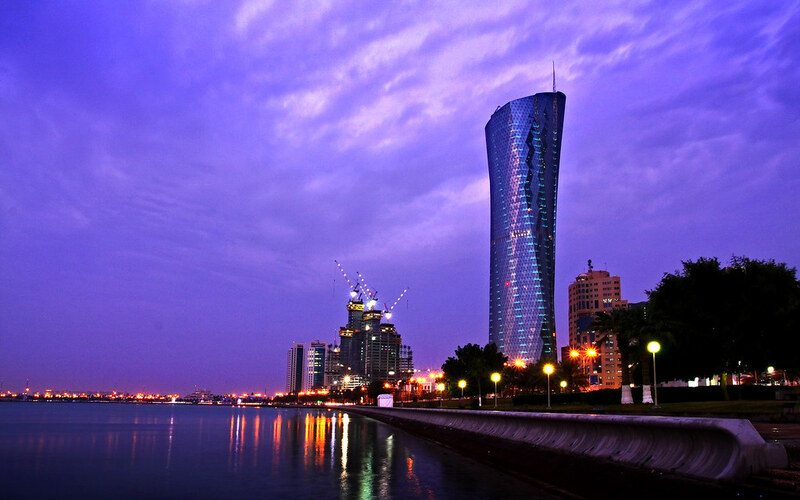 Our Doha office alone is 300 strong. The prize? Not that much and not that important espcially when you have just won - ON A GLOBAL SCALE! !